Check out this previous blog post about Potomac Mills. Potomac Mills really has so much to do. There is a large food-court, restaurants that offer great happy hours and a lot of stores for shopping. There is also an AMC movie theater at Potomac Mills. I love going for date nights or afternoons to the movies and having a drink or a bite to eat at one of the restaurants. This is one great new town center right off Dale Blvd, conveniently located in the middle off Woodbridge VA and close to Potomac Mills. Stonebridge at Potomac Town Center is built around the center store Wegmans. Beside Wegmans there are so many other places to go. One of the newest attractions at Stonebridge is The Alamo Drafthouse Cinema. There is also a Muse Paint Bar which is highly popular, a gym and many great restaurants. Stonebridge at Potomac Town Center offers many great happy hours at the restaurants. One of the newest is Bar Louie. Leesylvania State Park is located along the historic Potomac River. Leesylvania State Park offers many activities on land and on water, including hiking, picnicking, fishing and boating. There is a fishing pier at Leesylvania State Park, playground, boat launch, boat storage area, snack bar and store, visitor center and a gift shop. Additionally Leesylvania State Park offers a 20-station fitness trail and canoe and kayak rentals. 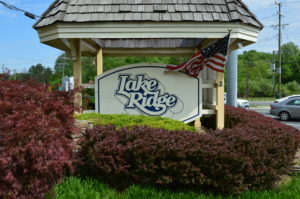 Lake Ridge Park offers a 9-whole Golf Course, boating, hiking and so much more. There is a boat renting place, a shop, boat launch. There is also a nice picnic area with pavilions a playground there even is a mini-golf course. Truly something for everyone in the hart of Lake Ridge. The park is conveniently located close to Route 1 and includes a community center, an outdoor pool, skateboard facility, hiking trails, picnic area, playground, volleyball and tennis courts. Surrounded by the Occoquan and Potomac Rivers the Occoquan Bay National Wilflife Refuge offers a one mile wildlife drive and over three miles of hiking trails. The refuge is open to the public seven days a week all year-round. The Dale City Water Park is located off Dale Blvd close to Hoadly Road. It offers great fun for young and old. The water park offers slides, sport fields and more. The water park is open from Memorial Day to Labor Day. There are also great walking trails around the park. Conveniently located, spacious park featuring a baseball field, playground, aquatic center, skating area & duck pond. Great for the entire family to hand out, enjoy and have fun.